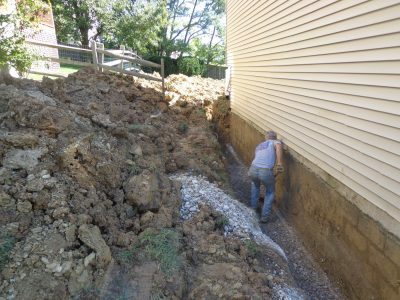 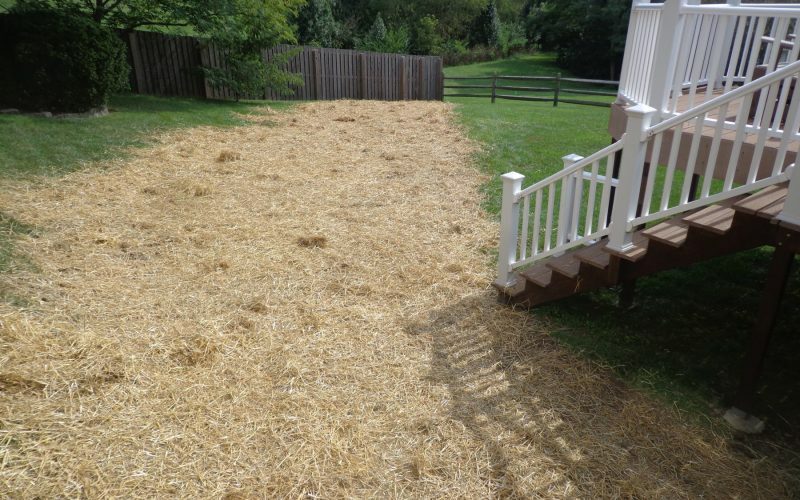 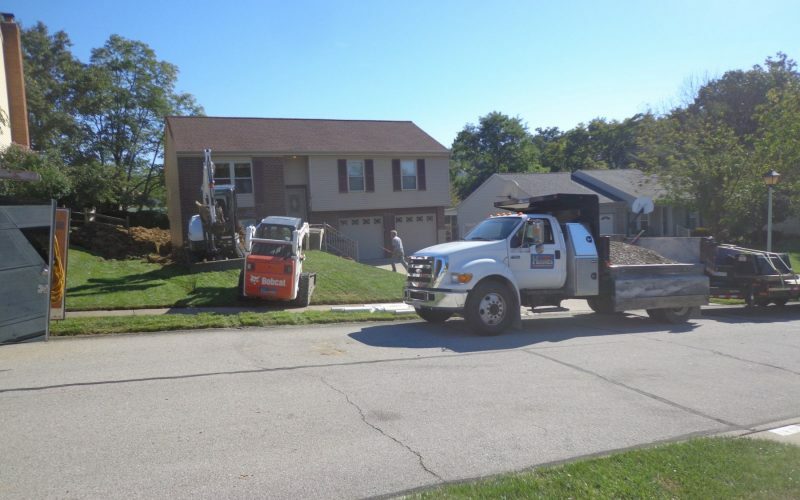 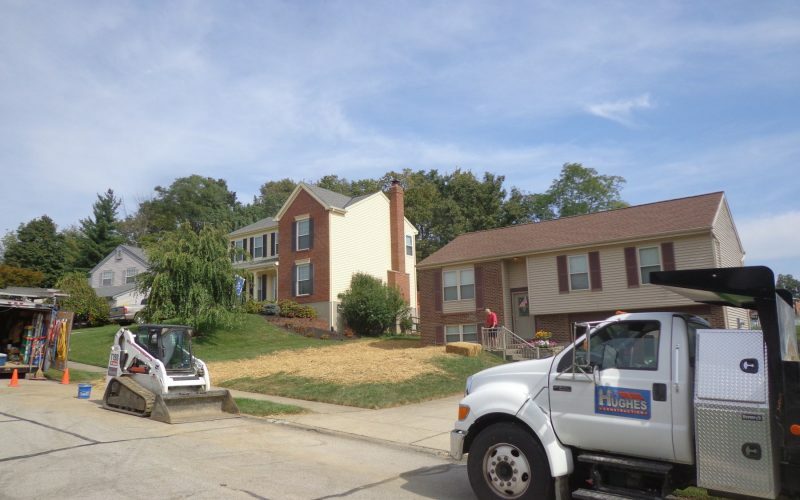 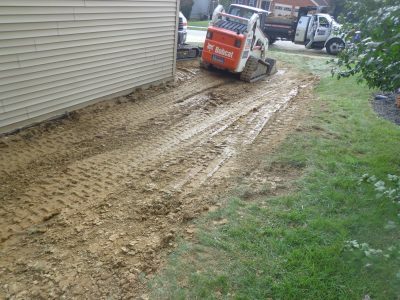 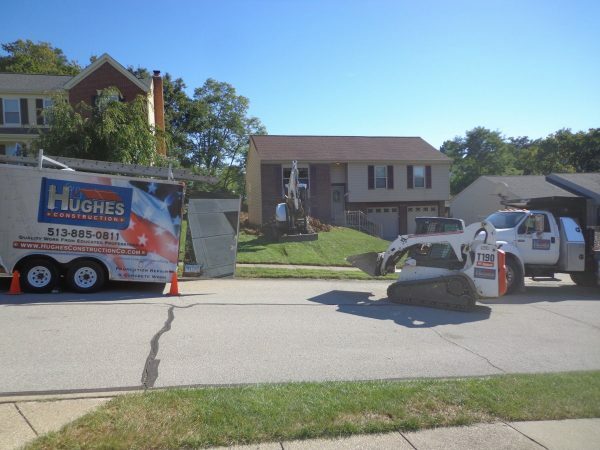 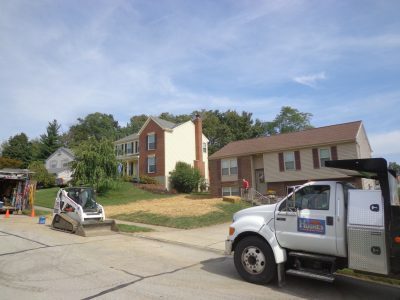 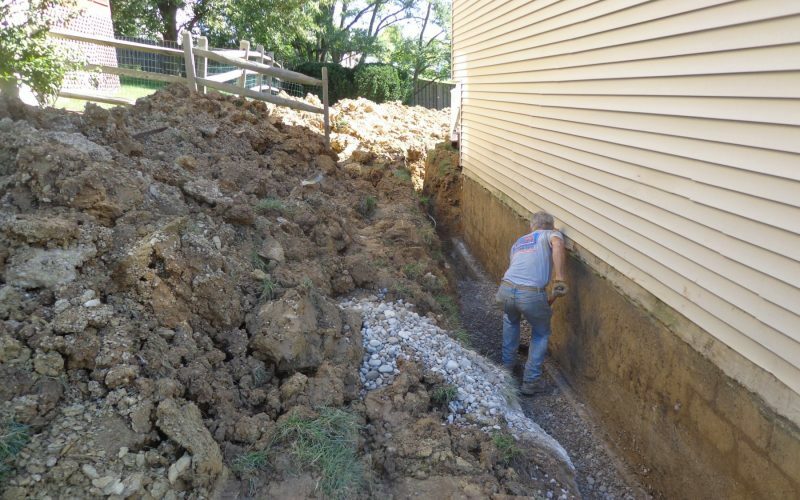 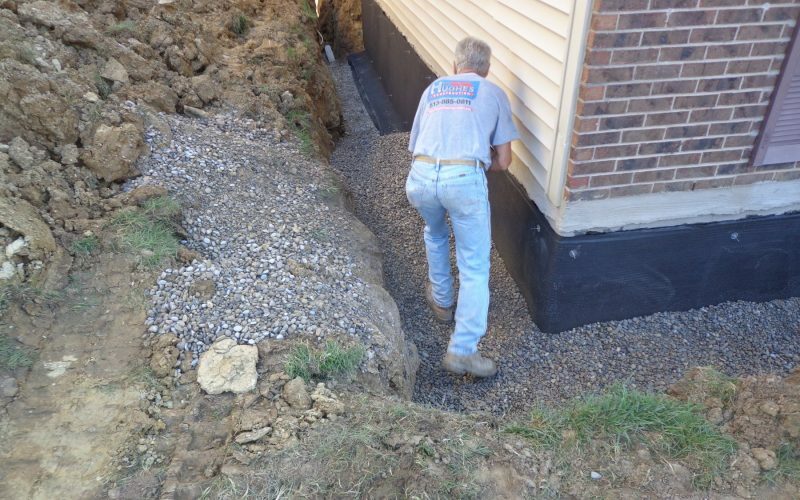 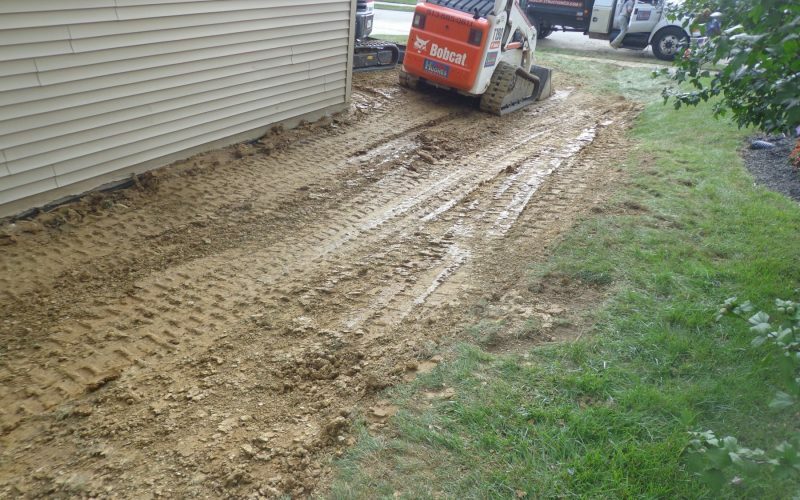 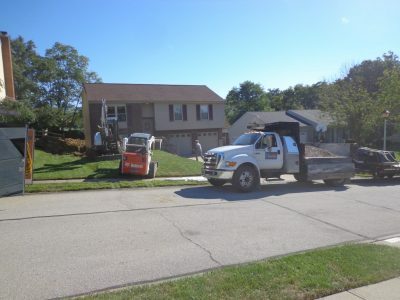 This Taylor Mill home owner hired Hughes Construction to correct the drainage system surrounding their home. 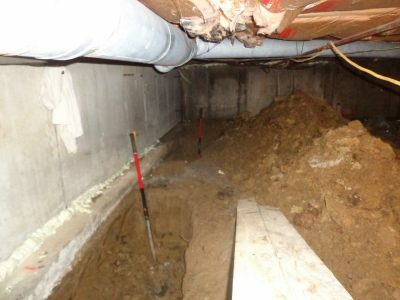 Hughes Construction excavated around 25 feet of the foundation to the depth of the footer. 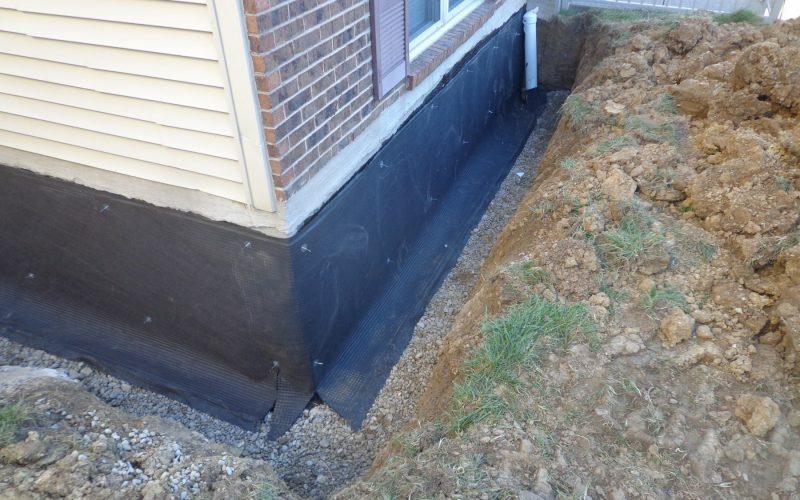 The exposed foundation wall was coated in HLM 5000 and capped with dimple drainage board. 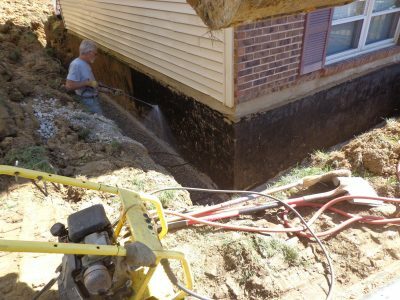 After the waterproofing was in place a new 4″ schedule 40 drain line was installed at the bottom of the excavated drainage ditch. 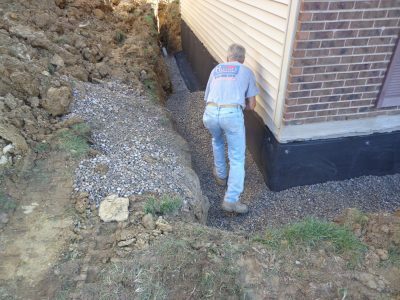 Once drainage systems were in place the area was back filled with two feet of 1 inch drainage gravel. 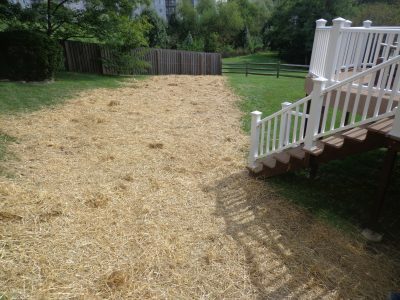 Soil was replaced in compacted lifts to minimize settlement and then the effected area was covered with topsoil, seed, and straw. 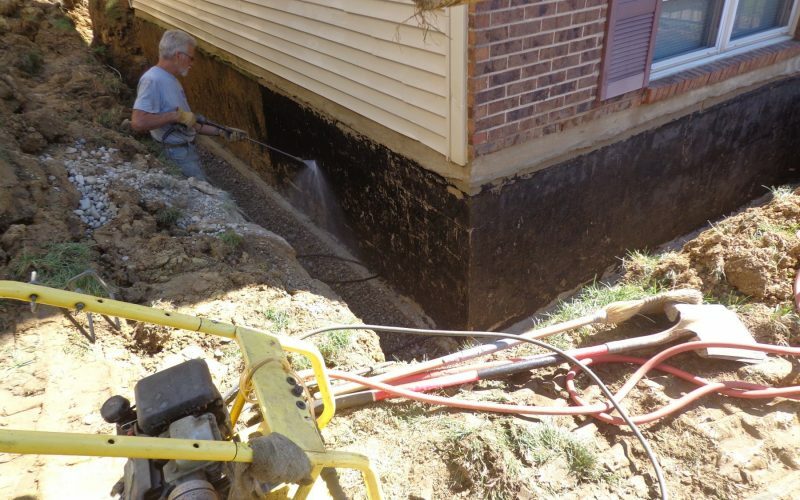 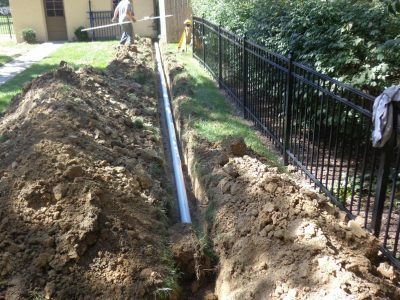 Drainage problems surrounding your home’s foundation? 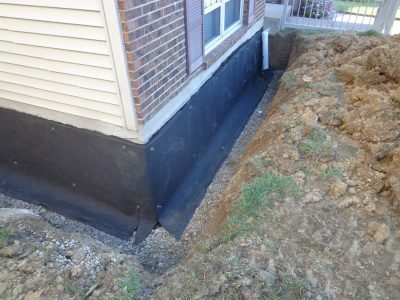 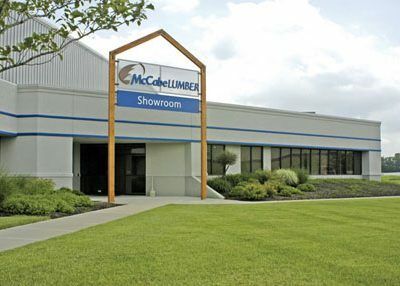 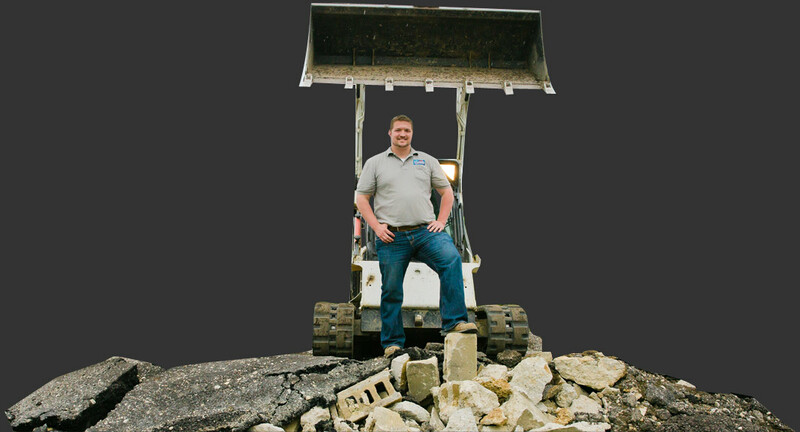 Its always best to consult with a licensed engineer to determine the best path forward for your home’s unique situation.